Thomas Ord was the middle child of Thomas Hugh Ord and Charlotte Ann Wayman and was born in Stawell in 1892. He had two older brothers and two younger sisters. Thomas and Charlotte married in 1888 and Thomas was a surveyor. Around the turn of the century, the Ords moved to Hamilton and by 1903 were living in McIntyre Street. Both Thomas Sr. and Charlotte were active in the community. Thomas nominated for council and regularly submitted poetry to the Hamilton Spectator. Charlotte joined the Hamilton branch of the Australian Women’s National League eventually becoming president. Thomas Jr attended Hamilton Elementary School and then Hamilton and Western District College, playing for the college football team in 1910. After finishing school, he went to work in the bank and played football for the St. George team. Around 1914, aged twenty-two, Thomas moved to Melbourne living at Courallie at 915 Punt Road South Yarra. He studied to gain his Municipal Clerks’ certificate. In September 1914, Thomas received his certificate from the Municipal Clerks Board allowing him to hold office as a municipal clerk. However, he continued working at the National Bank. In 1915, Thomas’ parents left Hamilton and moved to 33 Narong Road, Caulfield and Thomas eventually went to live with them. On 11 February 1916, aged twenty-four, Thomas enlisted at Prahran. He had tried before but was rejected due to his eyesight. Thomas began with the 10th Field Company Engineers from 10 March to 19 April then transferred to the Australian Medical Corps, maybe because of his St Johns Ambulance certificate. He was there until 24 August when he transferred to the infantry, joining the 22nd Reinforcements of the 6th Battalion. 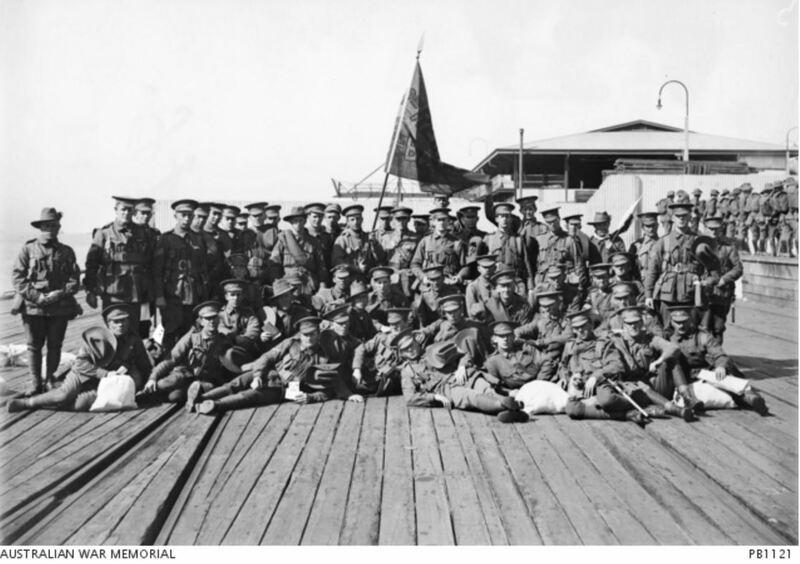 Thomas left Australia on 25 October 1916 and during the voyage to England was an acting Corporal. The reinforcements arrived at Plymouth on 28 December 1916 and in March 1917, left England for France arriving on 15 March 1917. On 31 March 1917, Thomas left Étaples to join the 6th Battalion arriving on 2 April at Buire-sur-l’Ancre in northern France. Five days later the battalion moved north to Fremicourt. On 15 April, Thomas wrote a will leaving everything to his mother who by that time was living in St Kilda, estranged from husband Thomas. After arriving at Fremicourt, aside from rotating in and out of the trenches on relief, things were relatively quiet for the 6th Battalion. That changed on 26 April 1917 when the battalion headquarters came under shell-fire resulting in “several casualties”. One of those was Thomas Ord. Only twenty-four days after arriving at the front, Thomas received a shrapnel wound to the head, fracturing his skull. He was taken by field ambulance to the 3rd Casualty Clearing Station nearby (below). Two days later, Thomas was loaded on the No. 11 Ambulance train bound for the 5th General Hospital in Rouen, arriving the next day. He was described as “dangerously ill”. Twelve days later on 10 May 1917, having not regained consciousness, Thomas Hugh Ord died. On the day Thomas died, notification of his hospitalisation was sent to 22 Narong Road Caulfield, the address provided on Thomas’ service record. Two days after Thomas’ death, and still only aware her son was wounded, Charlotte Ord sent Base Records a letter informing them she had left the Narong Road address around a year earlier. She had again moved on from the St. Kilda address given on Thomas’ will and was living at 12 Cambridge Street Auburn. If any further news of Thomas’ condition become available, she asked it be sent to her new address. Within days she heard of Thomas’ death. News of Thomas’ death reached Hamilton by the end of May 1917. The Hamilton and Western District College flag flew at half-mast for the old boy never to return. The St. George’s Football club also remembered Thomas and it was noted he was the seventh playing member of the club to die out of eighty who had enlisted. 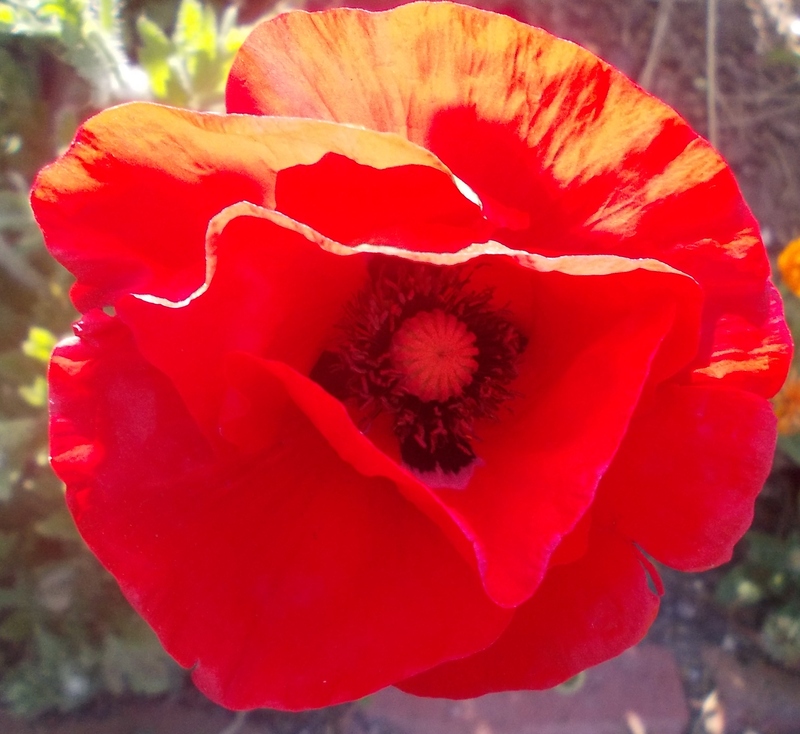 A tree was planted for Thomas along Hamilton’s Anzac Avenue on Arbour Day 1917. In 1920 Thomas Ord Sr. then living at Ferntree Gully, contacted the Defence Department because he’d heard of temporary crosses being returned to families once headstones were placed on graves overseas. If that was the case, Thomas would like his son’s cross. 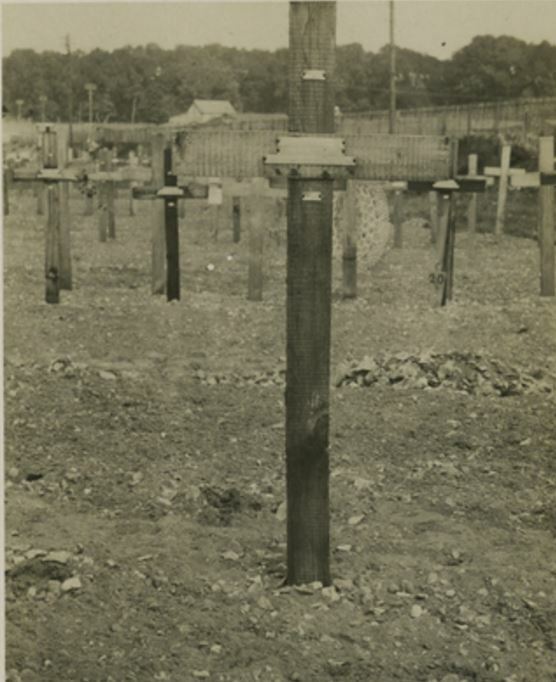 Pictured below is an example of a temporary cross from the St Sever Cemetery where Thomas Ord Jr was buried. In 1924, Thomas received an answer explaining due to the climatic differences in the countries and the crosses’ deterioration over the time they had been it place made it impractical to return them all. Thomas’ cross would not be returned. In the early 1920s, Charlotte was granted a divorce from Thomas Ord on the grounds of desertion. They each remarried soon after. Charlotte died in 1950 and Thomas in December 1952.